What is Inbound marketing, and how has the digital revolution given rise to marketing you’ll love? Inbound marketing was “born” in 2006, when advertising agencies became aware that their target audience was becoming increasingly engaged online. Since it’s inception, the term “Inbound” has gained traction in the marketing community, but what is this new marketing trend? Blogs give websites 434% more indexed pages and 97% more indexed links. This helps you to rank higher for SEO organically. Ultimately you’ll want your website to appear on the first page of Google search results, as only 8.5% of users click beyond the first page of results . Traditional, interruptive marketing tactics are no longer as effective as they were prior to the rise of the digital era. Consumers are more educated and turn to the internet to research products and services before making purchase decisions. This means that agencies needed to meet their audience where they are - online. The Inbound approach attracts customers by providing helpful, relevant content. 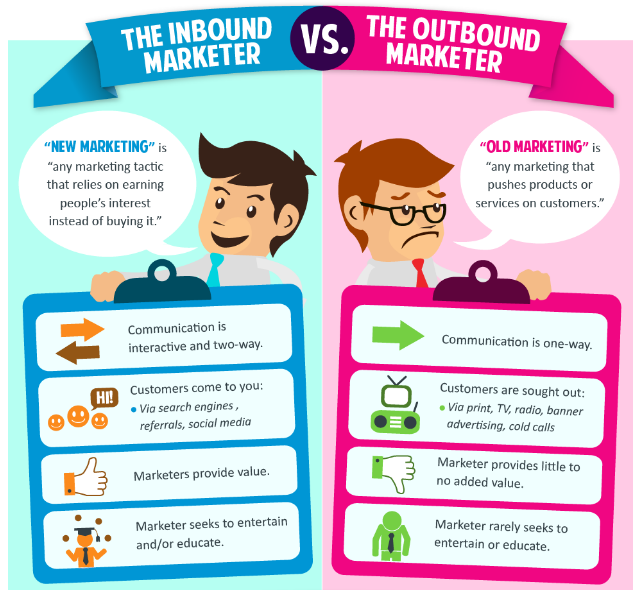 The main difference between Inbound and traditional (Outbound) marketing is that Inbound marketing isn’t interruptive, and it relies on pull tactics as opposed to the push tactics of traditional advertising. Using the Inbound method, you’ll create content which addresses the pain-points and needs of your ideal customers, which will attract qualified leads and establish trust and loyalty for your business. A buyer persona is a semi-fictional representation of your ideal customer. You create these personas using data from your present customers and market research. The more detail you include in your buyer personas, the more structure and insight you’ll provide for future product development. You should include information on customer pain points, goals and motivation, behaviour patterns and demographics. Once you’ve attracted the right visitors, you’ll want to convert these visitors into leads. You’ll do this by collecting their information (e.g. name and email address) using calls-to-action (CTAs), landing pages, forms and content offers. Contact information is like gold to marketers - so make sure your content offer is valuable enough to encourage visitors to part with their contact details. Content like checklists, whitepapers and eBooks can provide helpful resources to your visitors, and create an opportunity for you to gather their contact details. The visitor will need to fill out a form on your landing page in order to download their content. This is how you generate leads from your content. Once your visitors have converted to leads, you’ll need to turn these leads into customers. You’ll use lead nurturing in order to transform your leads from marketing qualified leads (MQLs) to sales qualified leads (SQLs). Keep track of your leads using your customer relationship management (CRM) system and use marketing automation to send personalised lead nurturing messages to your contacts, aimed at their specific stage (awareness, consideration or decision) in the buyer’s journey . Once you’ve converted a lead into a customer, you’ll need to continue to nurture the relationship in order to turn your customers into promoters of your brand. By delighting your customers with a continued, mutually beneficial relationship, they’ll be happy to tell the world why they love your products or services, sending more visitors to your website and beginning the Inbound cycle again. HubSpot’s Lindsay Thibeault explains the difference between Inbound and. Outbound Marketing, and why Inbound Marketing will help you to generate better qualified leads and increase your ROI in the first lesson of their Inbound certification course. HubSpot offers a free Inbound certification to anyone who’s interested in learning more about the Inbound methodology. If you’d like to read an in-depth history of Inbound Marketing, our previous post (The Rise of Inbound Marketing: Where We’ve Been; Where We’re Going) has a great infographic detailing the evolution of modern marketing. 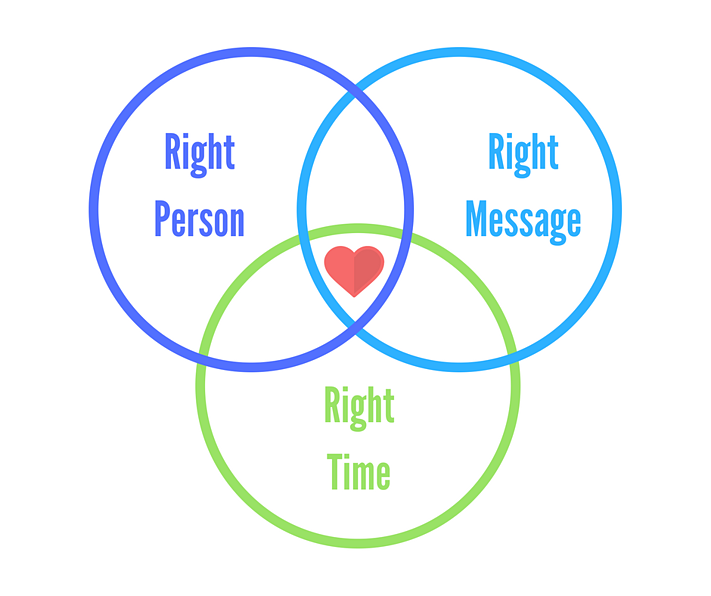 Remember, the formula to a successful Inbound strategy is serving the right content to the right person at the right time, in order to produce content which is helpful and relevant to your customers. This will ensure a delightful user experience, establish your business as a trustworthy source of information and continue the cycle of lead generation. For a more in depth look into how you can create an integrated marketing strategy click here.